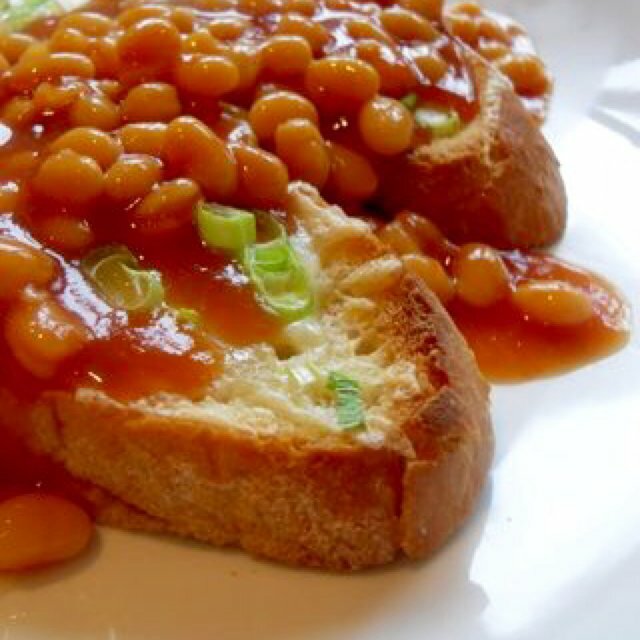 The Brits love beans on toast. While the quality and flavor vary widely across Britan, it is a savory comfort food that can be made healthy. Use canned beans and the recipe below instead of canned baked beans. Serve on a whole wheat baguette with a spinach and chicken salad. 2. Add catsup, maple syrup, mustard, water, and beans. Heat thoroughly. Remove from heat and allow to rest 5 minutes. Enjoy!